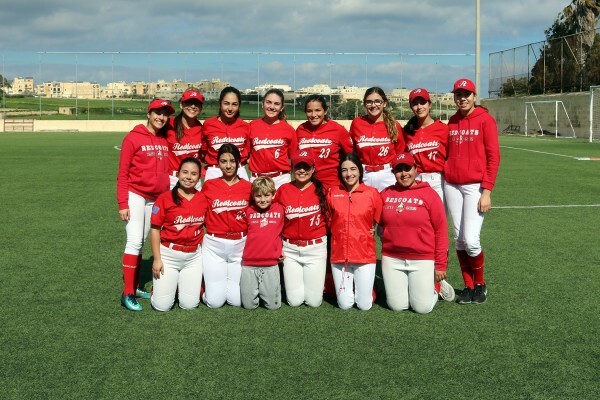 The Għajnsielem Redcoats beat the Mellieha Curves 10-4 at the Sannat Ground in Game 1 of the Fastpitch Softball National Championship Series organised by the Malta Baseball & Softball Association. 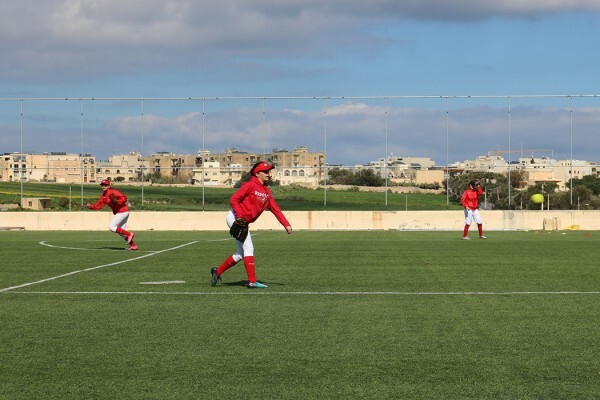 The game was the first outing for the Redcoats of the 2018/19 season. 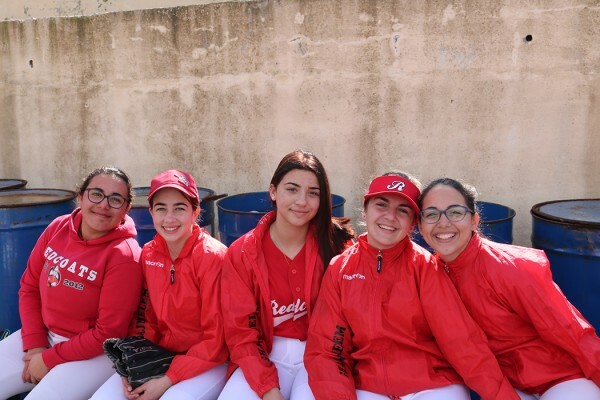 It was a very good display by the Redcoats, and can be considered as the best performance yet from this group of young players, with every department, and every player, contributing towards the victory. 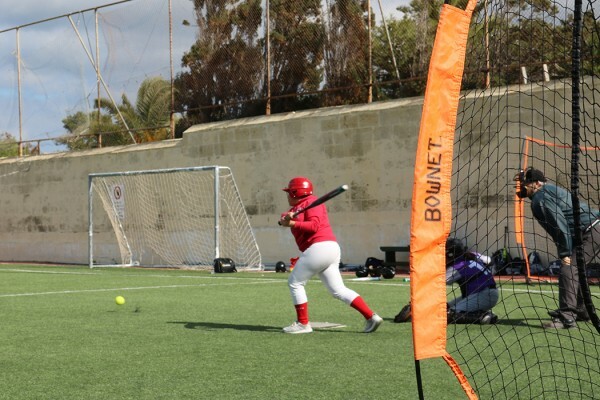 Daphne Cassar at 1st base had 2 hits, 2 runs batted in (RBI), scored a run, and registered 8 put-outs. 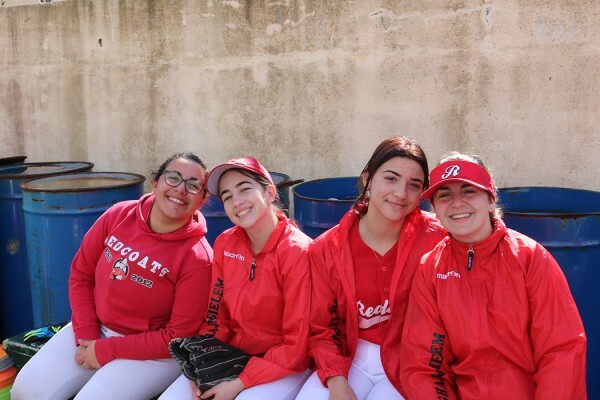 Gianella Mallia, Marilise Vella, Kimberley Scerri, and Rebecca Grech had clutch hits and scored runs at very important stages of the game. 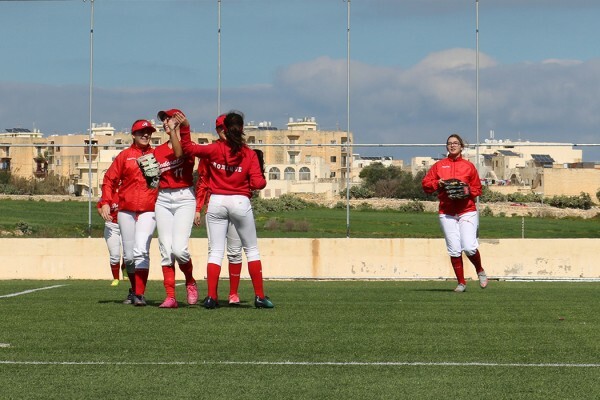 Simona Refalo and Marija Vella were playing their first official game ever and did well, as did Ilena Buttigieg and Emma Mercieca. 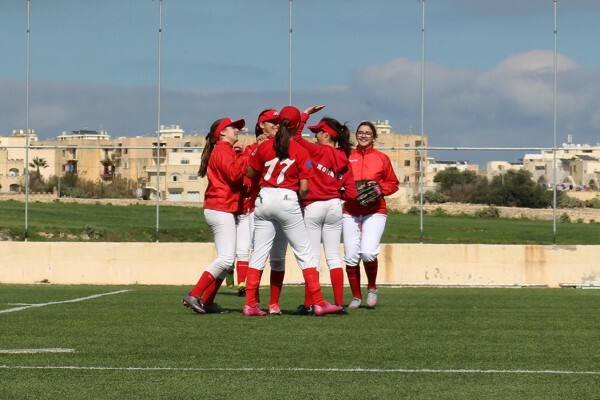 Special mention goes to Monique Attard who came in to pitch the 7th inning. This was her first ever appearance as a pitcher in an official game. 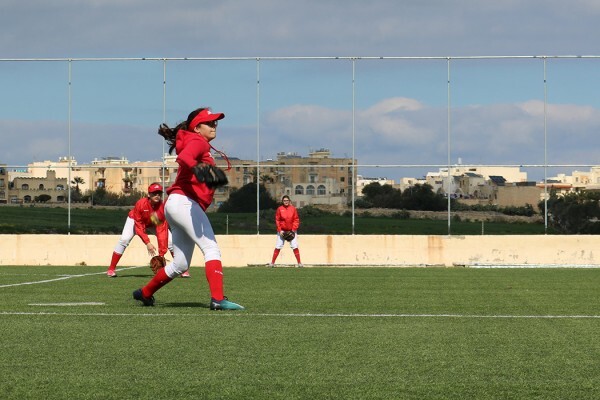 She did an amazing job, striking out a player, and getting two others to pop out to close the game without allowing any runs to score. 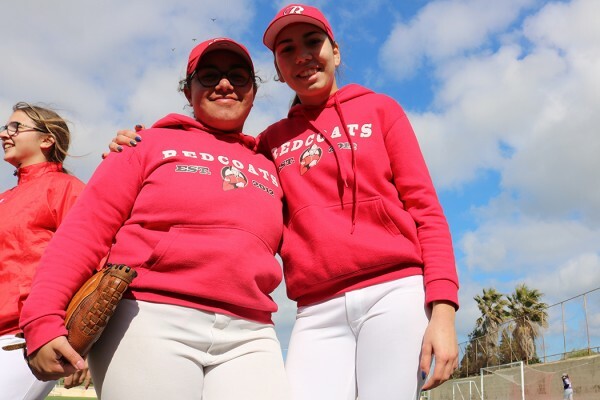 With Monique, a lefty, pitching so well, the Redcoats now have two quality pitchers for this level and can spread the load. This is particularly important when participating in international tournaments with several games being played over a few days. For the Player of the Game honour it is a close call between three players. 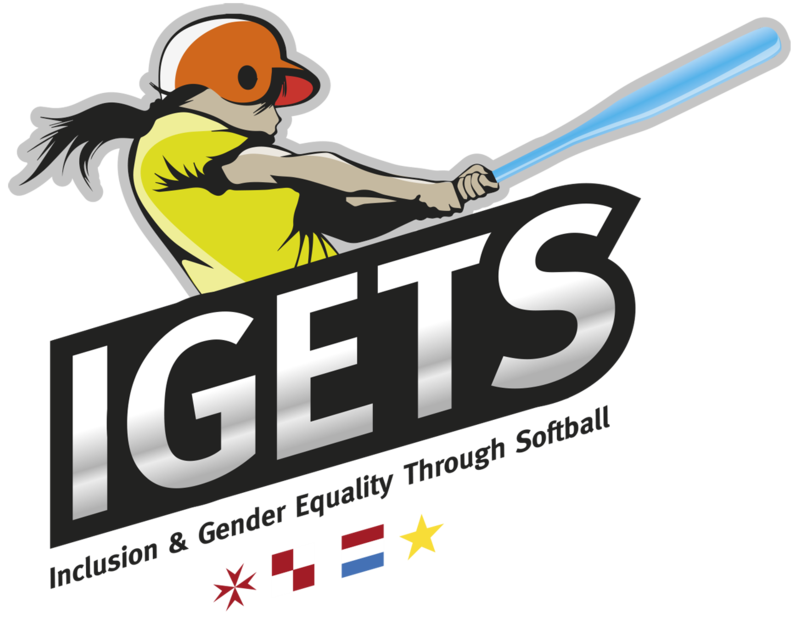 Monique Camilleri, playing at 2nd base, made two top drawer catches on identical line drives hit right over her head. Both hits seemed out of reach but she made fine catches, and on both occasions she doubled up the runner at 1st base for a double play. On both occasions the Curves were threatening to score runs to cut the lead of the Redcoats. It is thanks to those two fine plays that the margin of victory was as high as it was. 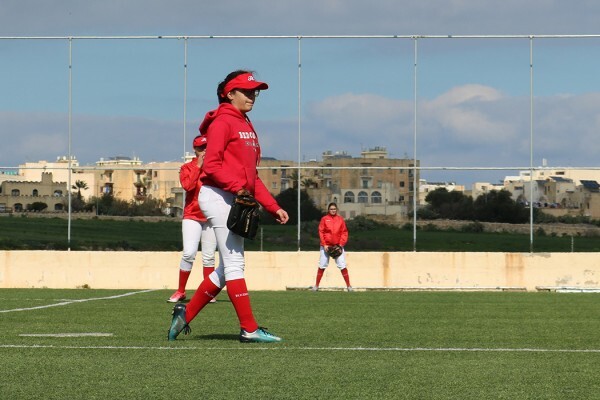 Redcoats pitcher Estelle Scicluna has been putting good pitching performances for the past three season, but this one ranks among her best. 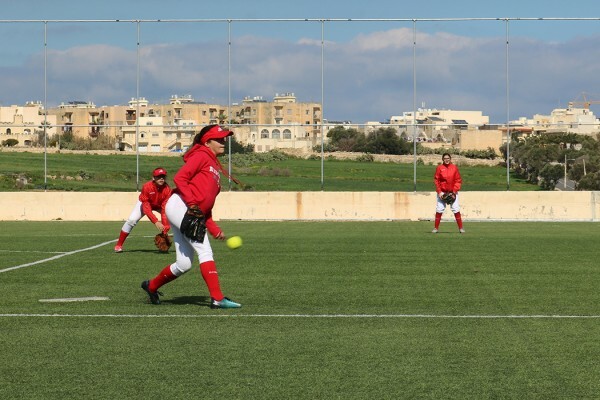 She struck out 10 Curves, walked just three, and earned only one of the four runs allowed by the team. She threw 88 pitches, 63 of them for strikes for a 72% strike-to-pitch ratio. She also had excellent support from her fielders. However, the nod for game MVP goes to Corinne Grima. 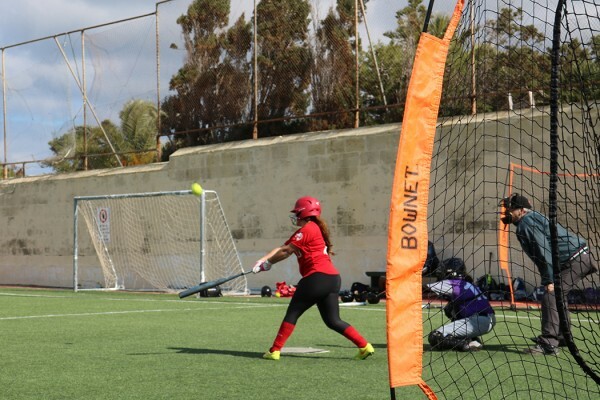 She was solid behind home plate, as catcher, giving her pitchers confidence. 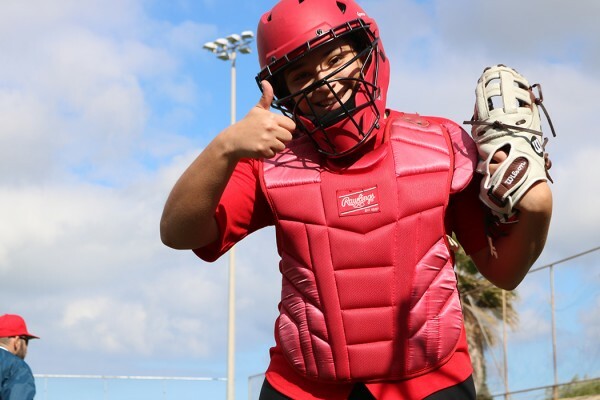 She caught two pop-ups and had an assist on a bunt. 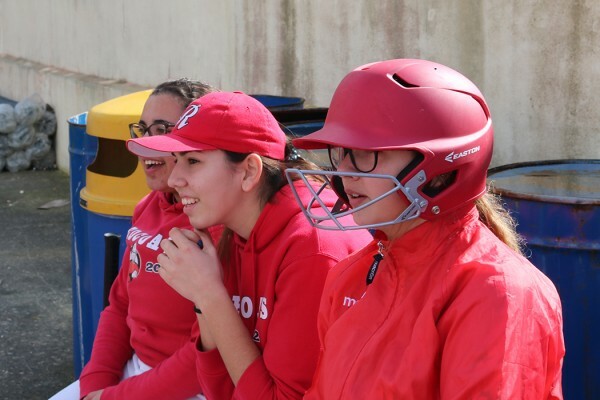 She also went 4-for-4 at the plate, with four hits on 4 at bats, an RBI, and two runs scored. 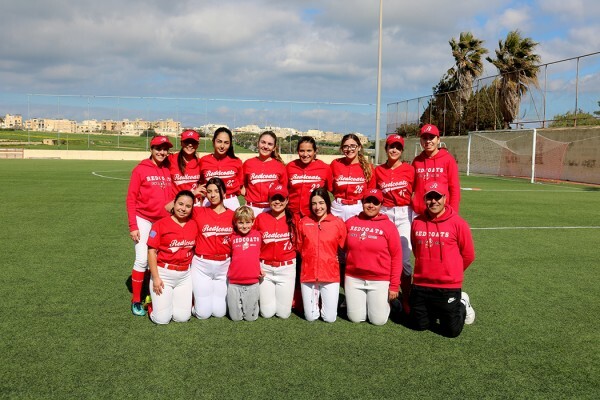 Despite the great individual and team performances, the Redcoats are still work in progress, with plenty of room for improvement. 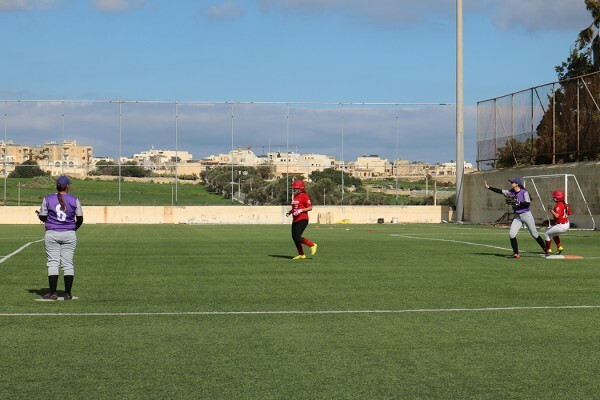 However, given their age, with all of the players 17 years or younger, they are at a level from where they can become good enough to successfully compete internationally. 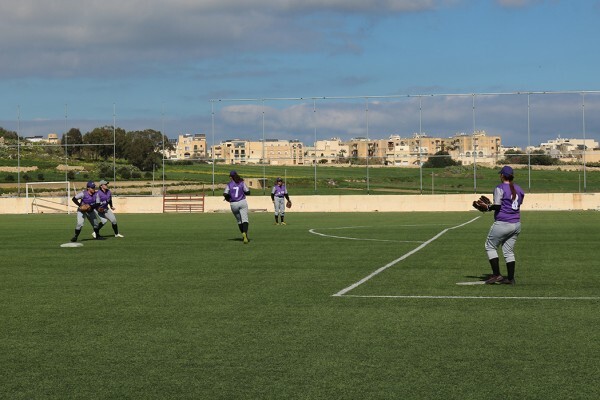 Game 2 is scheduled for Saturday, March 16, in Mellieha.